The members of the Placer County Bar Association are attorneys and other legal professionals who provide legal services in Placer County, California. The membership consists of both private practitioners and public agency attorneys. 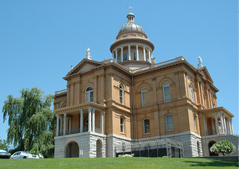 All are committed to providing the finest quality legal services to the residents of Placer County. This Web site provides information about the Placer County Bar Association and its membership, and provides links to various law-related resources. The attorney directory, which can be searched by name, location and practice area, represents the current, active members of the Association. For a hard copy of the 2019 Renewal Form click here. Renewal notices for 2019 dues will be sent out shortly. When renewing, log in to your account and select "View Profile" where you will see "Renew Until January 1, 2020." Once selected you can renew your membership and pay with a Visa or Mastercard credit or debit card. If you choose to pay by check, please print out the invoice and mail in with your check. Dues for 2019: If you are a law firm or agency paying for more than 5 members at the same time, please use the Renewal Form in order to receive a discount. If you will be a new member, please select the menu tab above - Join the PCBA. You can pay dues with a Visa or Mastercard credit or debit card. If you choose to pay by check, please print out the invoice and mail in with your check. PCBA members now have access to group health, dental, and vision insurance plans! To find out all the details, go to http://www.hutchisonbenefits.com. A Placer County Superior Court research attorney has created a guide to using their online case look-up utility. Click here for the guide. For your convenience, here is a link to the Placer County Legal Professionals Association Web site: http://www.pclpa.com. The mission of the Placer County Bar Association is to promote the professional interests of lawyers within the legal profession and within the framework of local, state and federal governments, through education, interaction, leadership, and philanthropy. These links offer helpful resources for common legal needs.